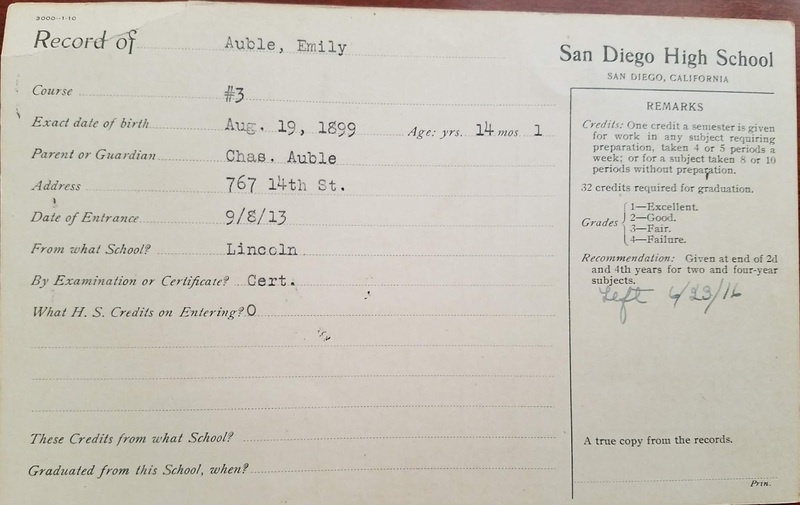 Today's Tuesday's Treasure is the 1913-1916 high school grade card summary for my grandmother, Emily Kemp Auble (1899-1977), to San Diego High School. Year IV should be the 1916-1917 (she apparently left the school at the end of the 1916 school year). 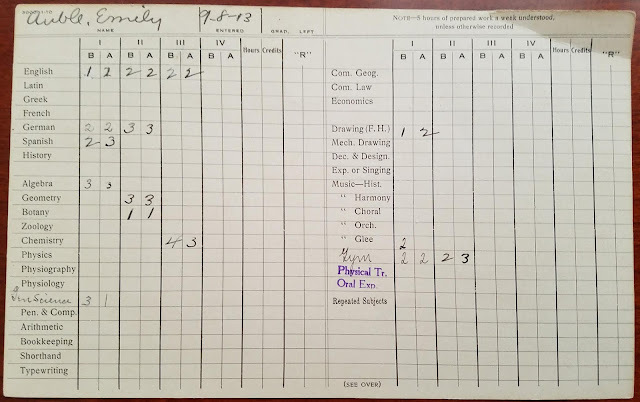 The card above is the grade card summary created at the high school for my grandmother, Emily Auble, who enrolled on 8 September 1913. Note that the grade criteria and the graduation requirements are listed on the other side of the card, which I showed last week. 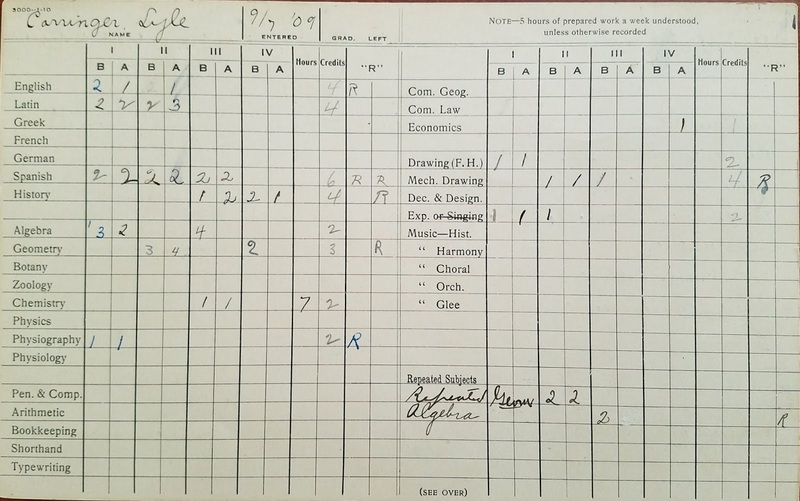 She did satisfactorily in 9th and 10th grade, but failed a class in 11th grade. Things were not well at home with her father sick in 1915-1916. I think she dropped out of school after her father died in March 1916, and went to work to support herself and her mother.